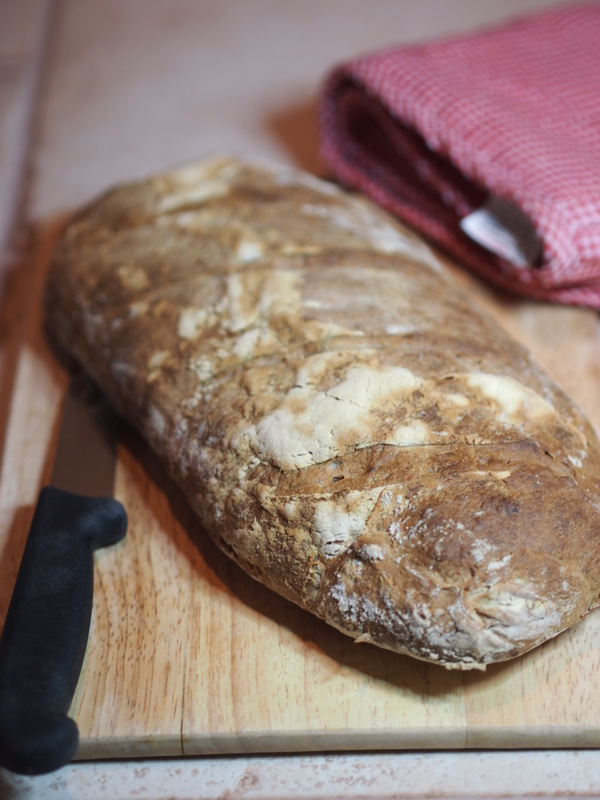 His Majesty, the Sourdough | When Judit bakes...bread and better.. The first time I ever saw this great bread I was in the USA in Washington state. I’ve made a lot of bread over the years but I’ve NEVER made bread like what I was seeing. The world of bread changed at that moment for me. 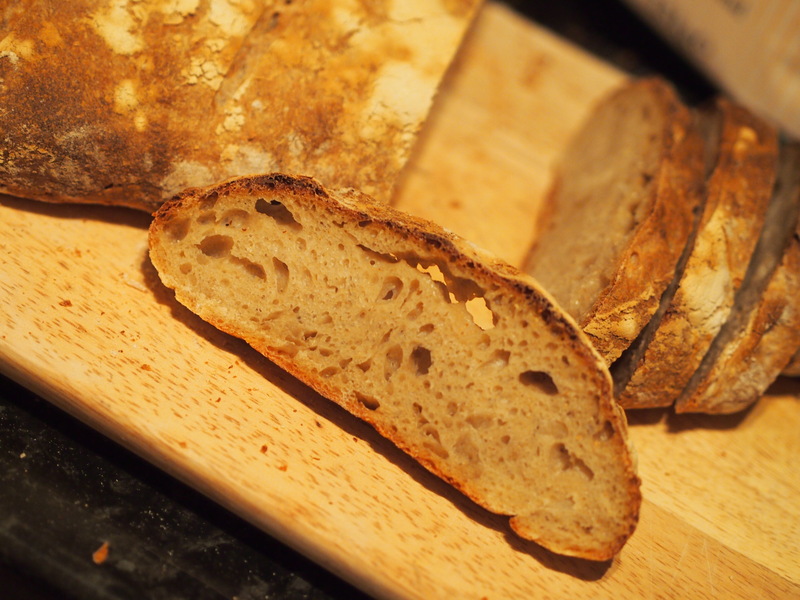 Since then, with a lot of practice (I mean a lot when I say a lot), my bread has been perfected. 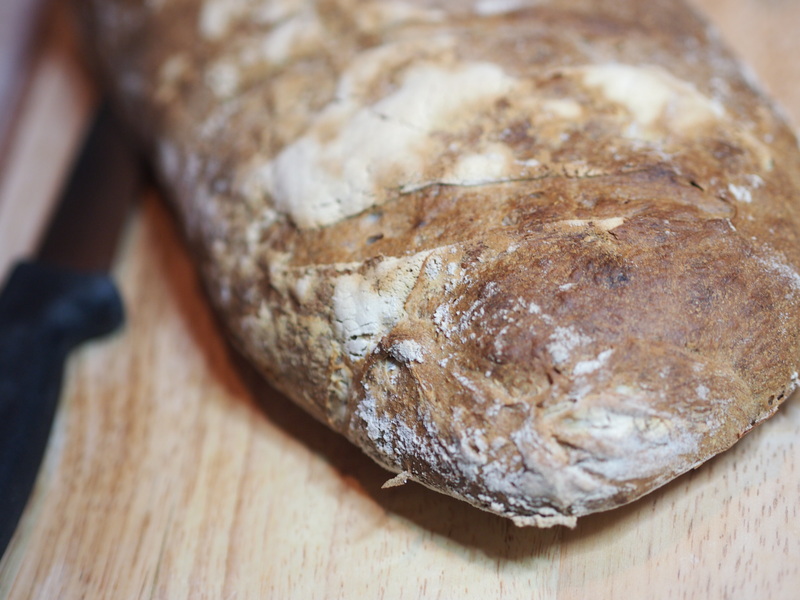 I had committed myself to simply making good, crusty, real bread since I saw the famous San Francisco sourdough loaves. For over years now my kitchen, my heart and my soul is ruled by this activity, and it pays: the results have been magical! Mix together the starter, flour and water in a large bowl. Add the sugar and salt. Turn out on to a clean kitchen surface and knead for 10-15 minutes until the dough can be stretched so thin that it becomes transparent. Place the dough into an oiled container, cover with a damp tea towel and let it prove for 8-10 hours. Turn out the dough onto a clean kitchen surface and knock back by gentle kneading. Cut the dough in two portions and shape into two loaves. Flour generously, and place each loaf seam side up in a bowl, lined with a floured cloth or tea towel and l leave it to prove for a further 2-3 hours. Preheat the oven to 230C/450F/Gas 8. Put a few ice cubes or cold water into a baking tin and place in the bottom of the oven to create steam. 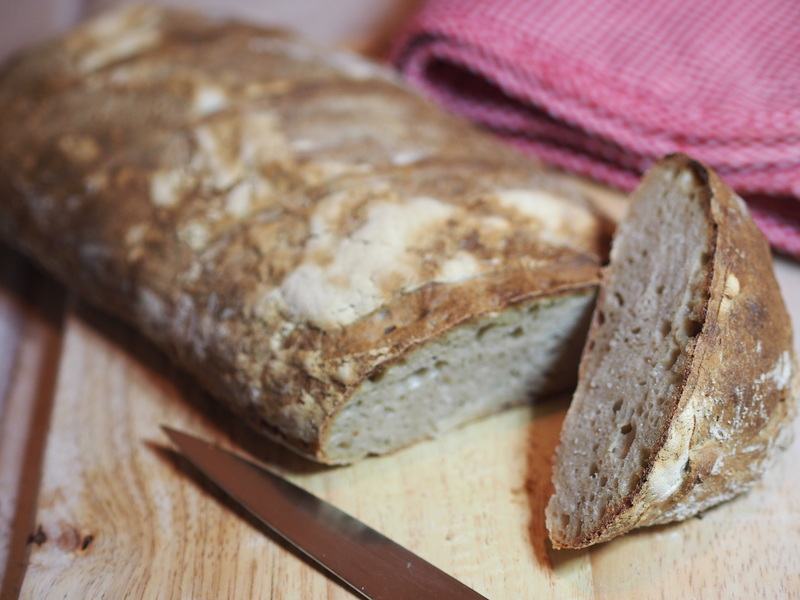 Turn the loaves out onto a baking tray or hot baking stone. Using a thin sharp knife the top of the loaves and place them in the oven. 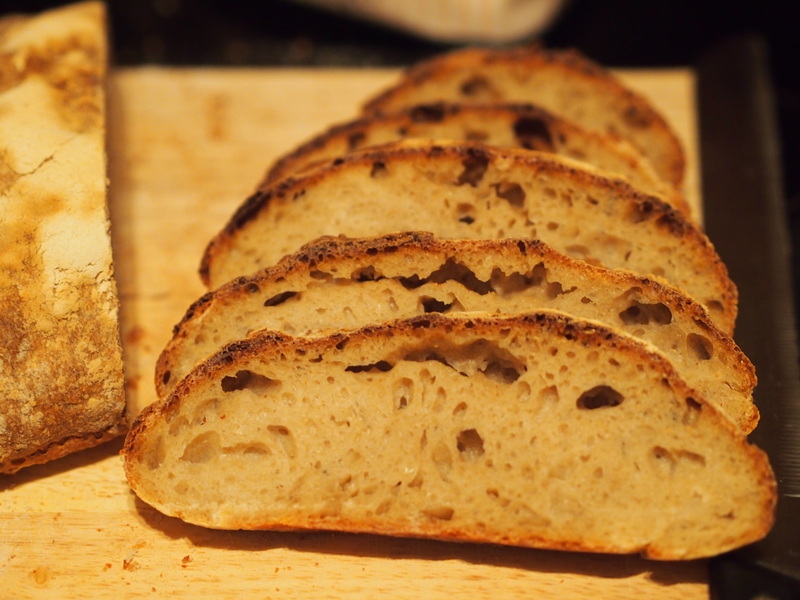 Bake for 40-50 minutes, or until a dark brown crust has formed and the base of the loaves sound hollow when tapped. Remember the basic rules: only by good ingredients and DO allow it time! 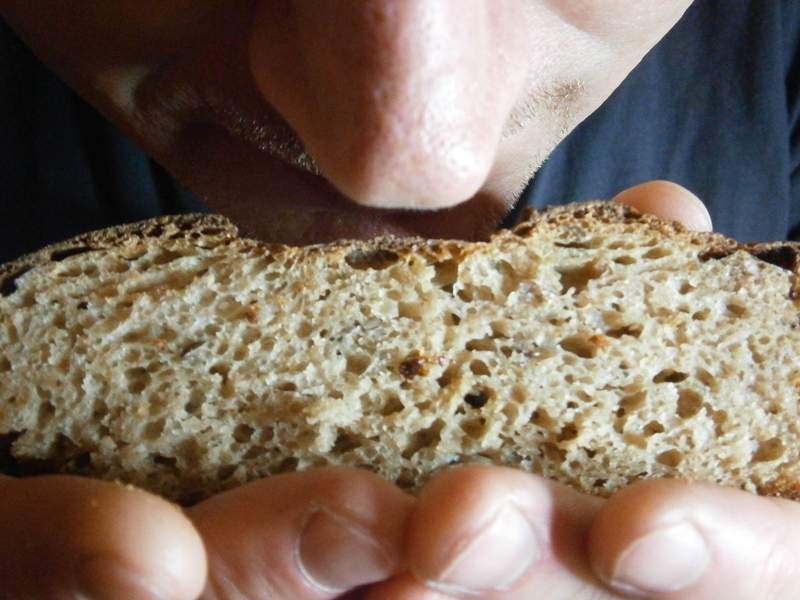 And DO NOT deprive yourself: the sourdough magic lasts for life! 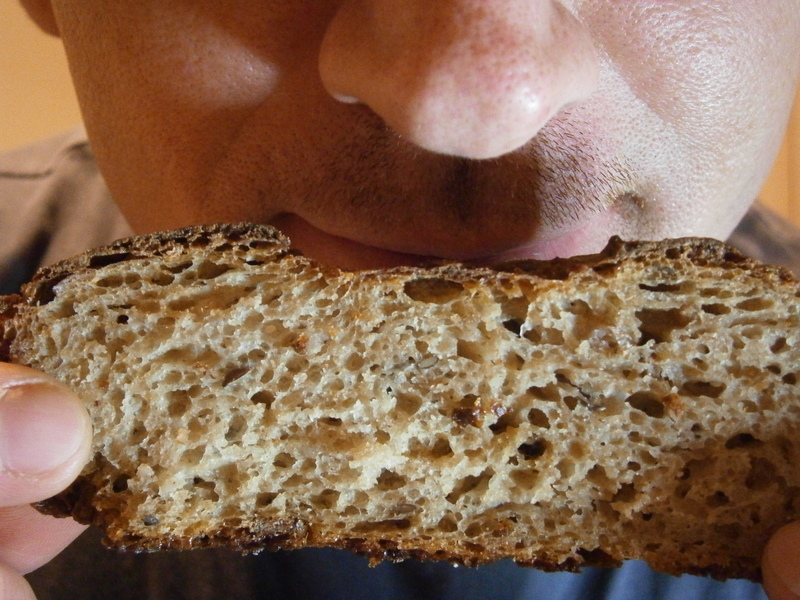 This entry was posted in Bread, Sourdough Bread, Wild yeast. Bookmark the permalink.